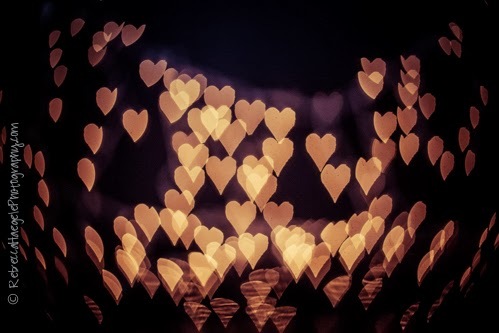 enjoy a little heart bokeh instead. The First Love (above) just so happened to come with a husband. I am happy to say, I still have them both. running to the oven to keep brownies from burning. The fractured foot caused me to meet my one-and-only. (I am planning a big trip to celebrate. and tons of camera gear. So pretty! We're snowed in too - getting more than they thought we would too! 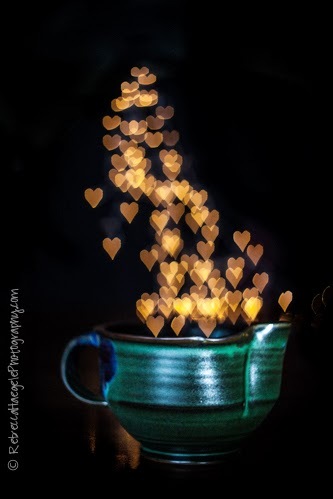 what splendid heart bokeh....so pretty. We are snowed in as well..
awwww, that's so sweet!! and such pretty images which are a nice change from snow!! it will be 36 years in june for us, i have never been happier!! A truly feel-good post, Rebecca, and your photographs are wonderful. These are so fun! I love the cup one! Congrats on 30 years! How perfect for Valentine's day! Congrats a little early, a trip sounds extra special right about now. Sounds like a marriage made in Heaven. Paradise! 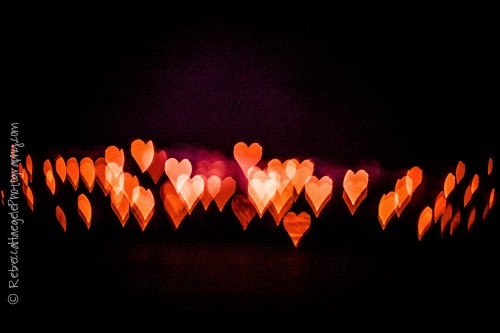 Happy Valentine's Day to you and your beloved! 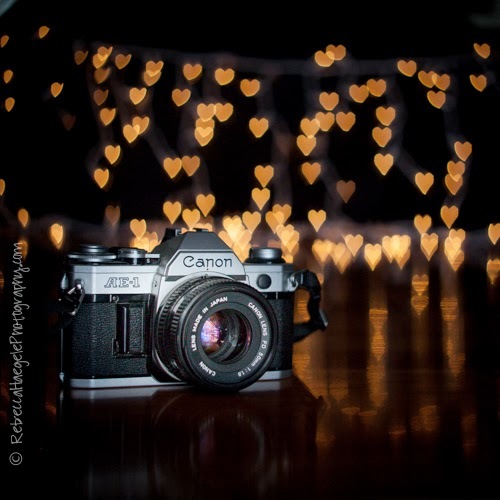 Great bokeh shots and a great love story too. Enjoy your trip. sweet post & wonderful photos. now if only I have a one-and-only of my own to brag about. stay warm. wonderful love story. happy friday! Ooooh that's so nice. Not the fractured foot, but everything else! Happy Valentine's Day! Yes he is a keeper. Can't wait to hear his reaction to finding out about your plans for a trip for your 30th. Very nice to have stayed together so long, I admire the both of you. my hubby is my keeper. He spoils me. We are growing older to-gether and I love every moment too. . Who would ever think I would fall in love with a Dutch guy. My Mom did. She said when I was 15 . Your going to marry a Dutch guy. I said why. Your too fussy around the house and you never wear shoes. You drop them off a the door. She was right. I met him at 16. He came to Canada. I got married at 19. He comes from a Family of 9 including him as the oldest. . Now we are married 52 years this pass Sept. We have three beautiful grown up kids now. Kids ha-ha. They each gave us two Grand babies who are all now in teen age and one Granddaughter is going to be 21. How blessed you are too. reading your blog My daughter and hubby will be 25 years married and her hubby surprised her going to Hawaii . He told her last week. Also taking the two kids. She is astatic. As they are a close knit family with the kids big time. Well the son is 17 and the grandchild is 21. So my daughter went and got her beautiful long hair cut about 6 inches off and surprised him. The family is going end of April. I admire your friendship too hubby and you. I like all these little hearts so much!!! I hope you and your beloved had a wonderful Valentine's Day! Sweet story! This is one time that pain made you gain! lol! 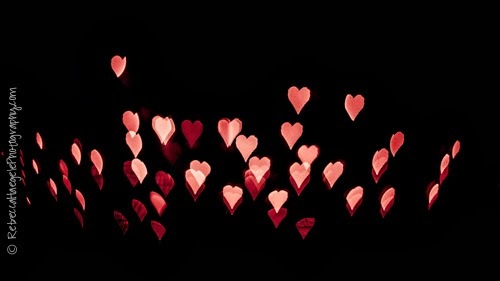 Love the floating hearts! Thanks for sharing with Share Your Cup.